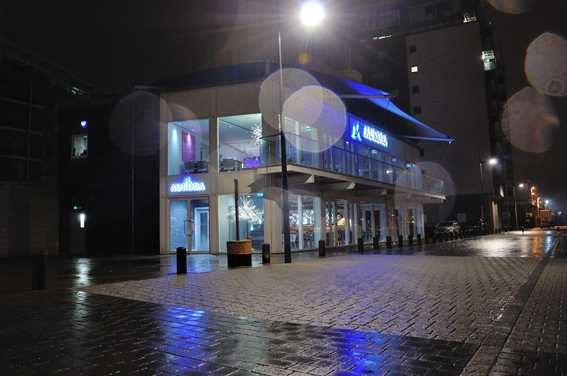 The newly opened Aurora Bar & Restaurant provides customers with a unique dining experience for customers overlooking the Orwell Quay at Ipswich Marina. 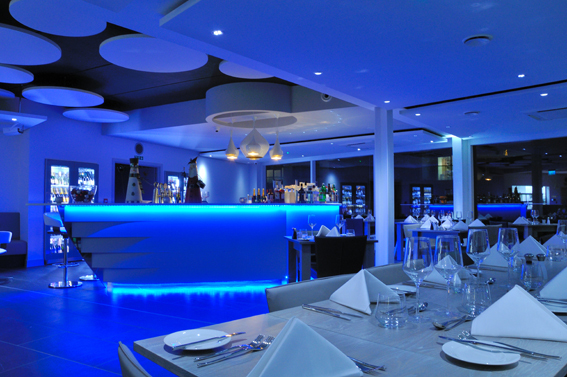 In addition to an a la carte menu, private dining options, a very well stocked bar offering a plethora of fine wines, whiskies and spirits and a separate champagne bar offering extensive champagne selections (all cooled to perfect drinking temperature in an impressive range of LED lit wine coolers) the Aurora Bar & Restaurant offers unrivalled views of the surrounding waterways and boats visiting Ipswich Marina. A family run affair the Aurora Bar & Restaurant is aiming high and Steve Hewitt director of Aurora called upon the services and expertise of Sound 4 Pro Audio to design and install a multi-zoned audio and visual system that would cater for almost every occasion and event to be held at the Aurora Bar & Restaurant, including live DJ’s, private parties and special occasions. ‘It was apparent meeting Steve and Callum Hewitt that the ambition for the Aurora is very high, we therefore needed to make our equipment choices for the Aurora very carefully to ensure the needs and expectations of the client and the Aurora customers were met’. ‘Cloud Electronics has a reputation for bulletproof reliability, as well as sounding very clean. 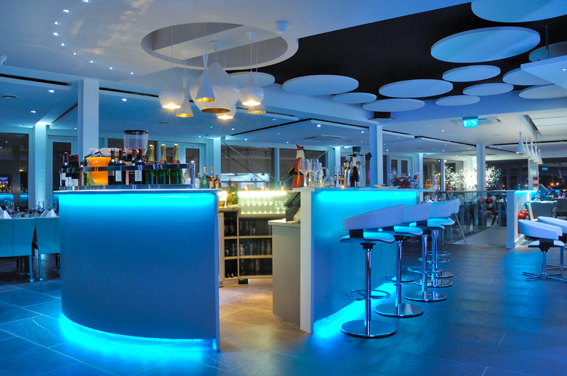 We chose the Cloud DCM-1 Digital Zone Mixer to provide Aurora with a product that is simple to operate but also to provide the flexibility to cater for the differing needs of the Bar & Restaurant. 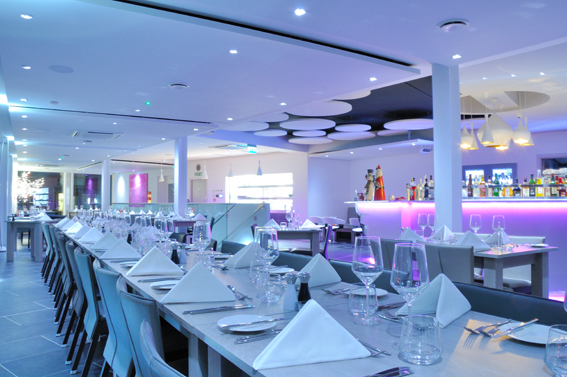 ‘As an example it’s really easy for Aurora staff to route separate music sources to private dining areas (allowing private diners to select and hear their own music choices), whilst sending background music to the 1st floor restaurant whilst also allowing visiting DJ’s/Artists to plug straight in to the installed sound system and play out to the vibrant Bar area’. Garrett continued, ‘Other zones including reception areas, restrooms and walkways are controlled by the Cloud DCM-1 and I am aware that Steve has plans to provide outside dining areas by the quayside later in the year. The Cloud DCM-1 allows us the flexibility to add these zones as we need them’. 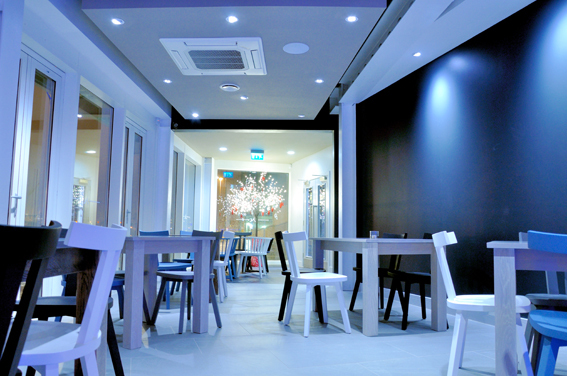 All zones within the Aurora Bar and Restaurant are fitted with Monitor Audio C-180WT ceiling loudspeakers with two of the zones (Bar and 1st Floor Restaurant) supplemented with Monitor Audio Radius RH370 Sub-Woofers. 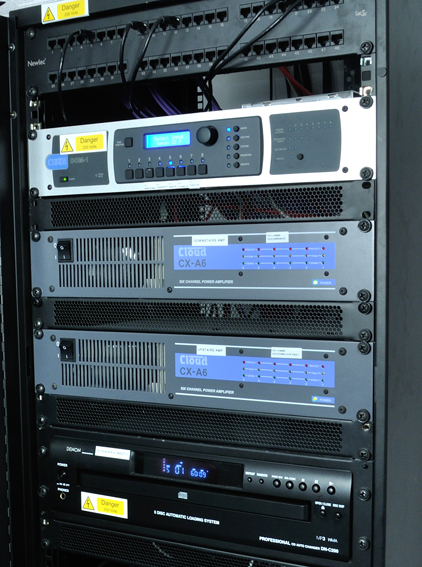 The Monitor Audio loudspeakers are driven by Cloud CX-A6 6-channel amplifiers linked to individual zone outputs from the Cloud DCM-1 Digital Zone Mixer. Steve Hewitt commented ‘ I am very happy with the Cloud Electronics solution proposed by Sound 4 Pro Audio, it is very easy to use and sounds great’.